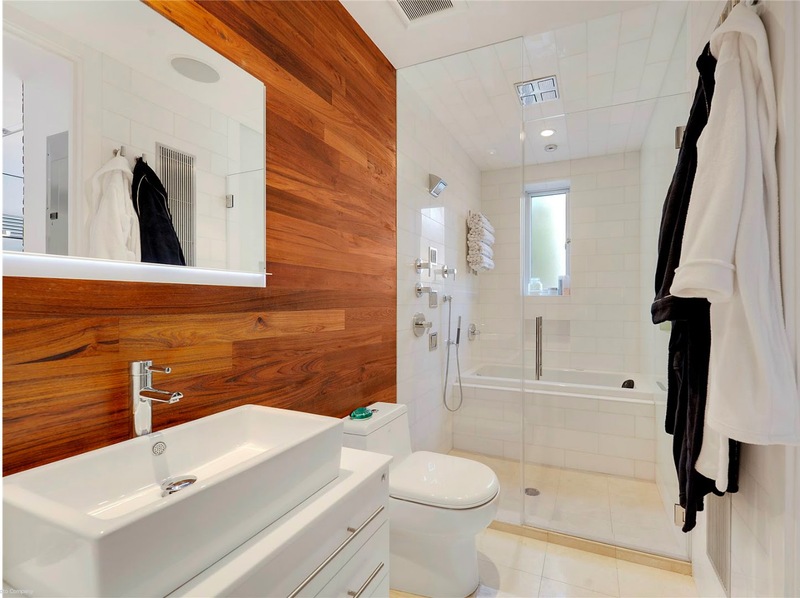 A mini-penthouse in New York’s desirable Murray Hill neighborhood doesn’t always demand the attention of a star realtor – but with the help of DécorPlanet, one of our customers was able to completely update his bathroom, ultimately catching the eye of Fredrik Eklund, star of Bravo TV’s Million Dollar Listing New York. Eklund’s listing for this sophisticated home boasted its “spa bathroom,” complete with Jacuzzi and separate marble shower. The inviting look and exquisite features of this bathroom were made entirely possible by products purchased from DécorPlanet.com, enabling us to help increase the value of the property and produce a look and feel that encouraged immediate sale. The Robern Uplift Medicine Vabinet and Fresca Modello Bathroom Vanity serve to provide style and enhanced storage in this smaller bathroom, allowing for optimal space conservation and function. As with the fixtures anchoring this modern masterpiece of a bathroom, vanity, sink, and medicine cabinet were selected from the impressive collection at DécorPlanet.com. At DécorPlanet.com we take satisfaction from providing our customers with the widest selection of high-quality bathroom fixtures and accessories at the lowest prices online. No matter if you are redesigning a sophisticated New York penthouse or updating a polished antique décor, we have the selection you need to make your space your own. And with our dedication to customer satisfaction and price-match guarantee, you can shop with confidence, knowing we’re here to help ensure your ultimate satisfaction. We can’t guarantee your home will be featured on TV or sold by a realtor with a dedicated following, but we can guarantee the unmatched quality and customer care you deserve when creating your perfect space.